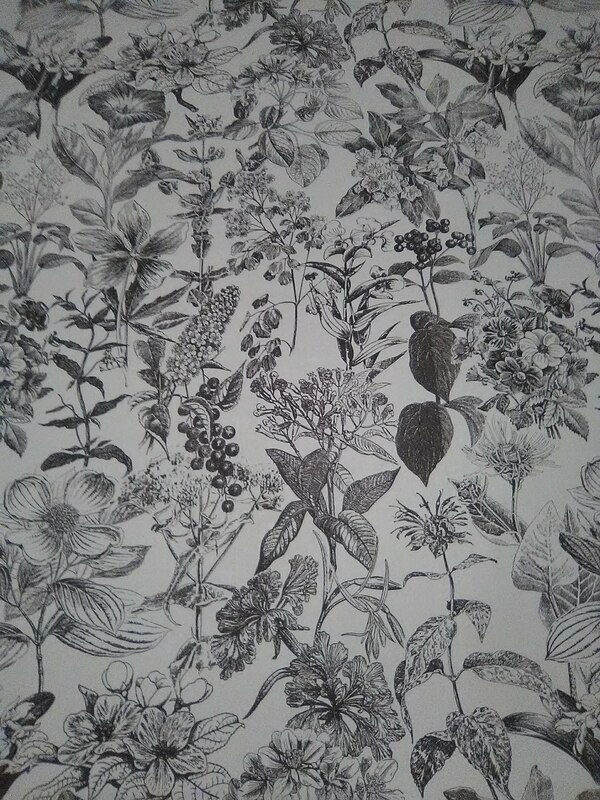 The wallpaper from my previous post is sold by the yard, and was digitally printed to order. Instead of coming in standard-length rolls / bolts, it comes in one continuous roll. Like many high-end materials, it has an unprinted selvedge edge that has to trimmed off by hand. Here you see my straightedge and razor blade, carefully removing the excess paper. 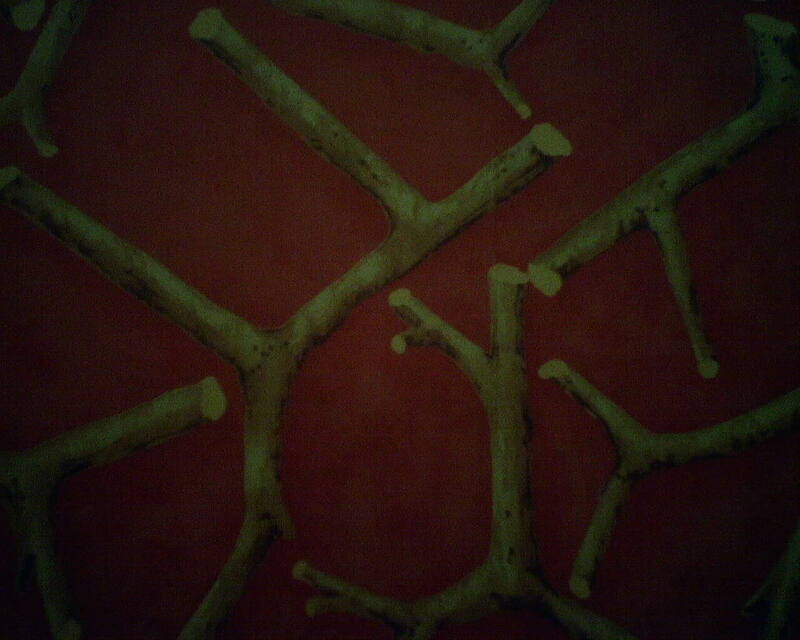 The original wallpaper in this large powder room in Hunter’s Creek Village was red and had “broken twigs” as its design. 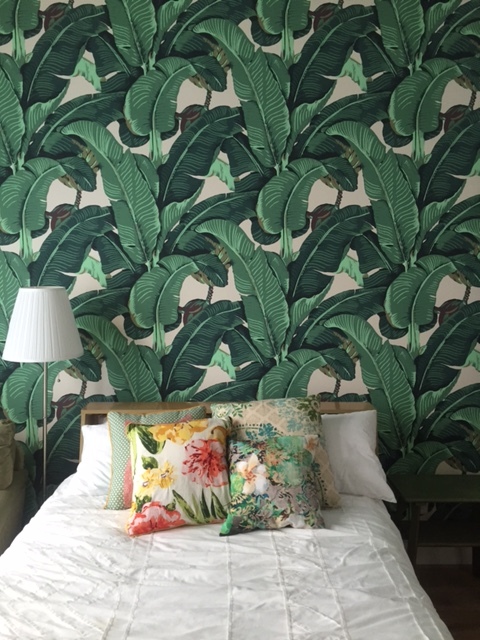 The homeowner wanted a subtle change, so went with something fairly similar, but more modern. 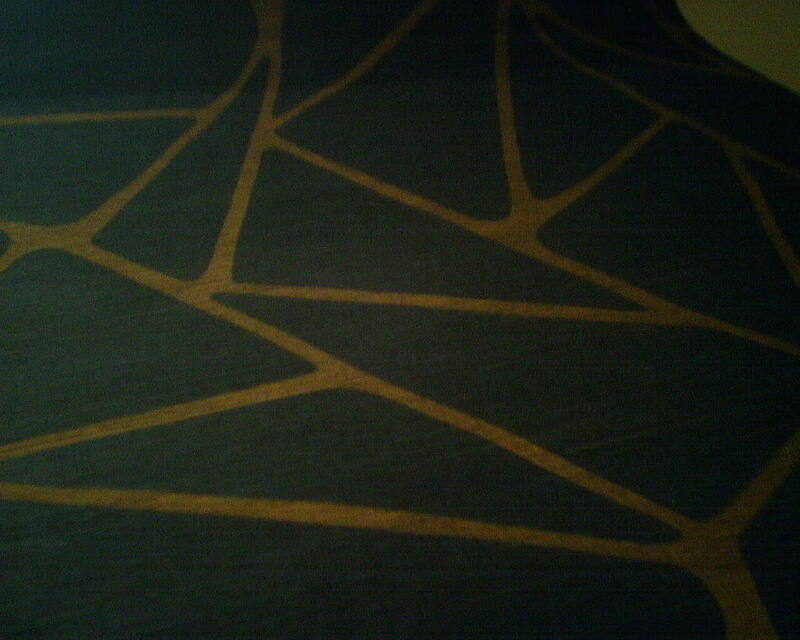 The paper is a grasscloth, and is dark blue, with gold “broken lines” covering the surface. The paper had a selvedge edge that had to be trimmed off by hand, using a straightedge and a razor blade. 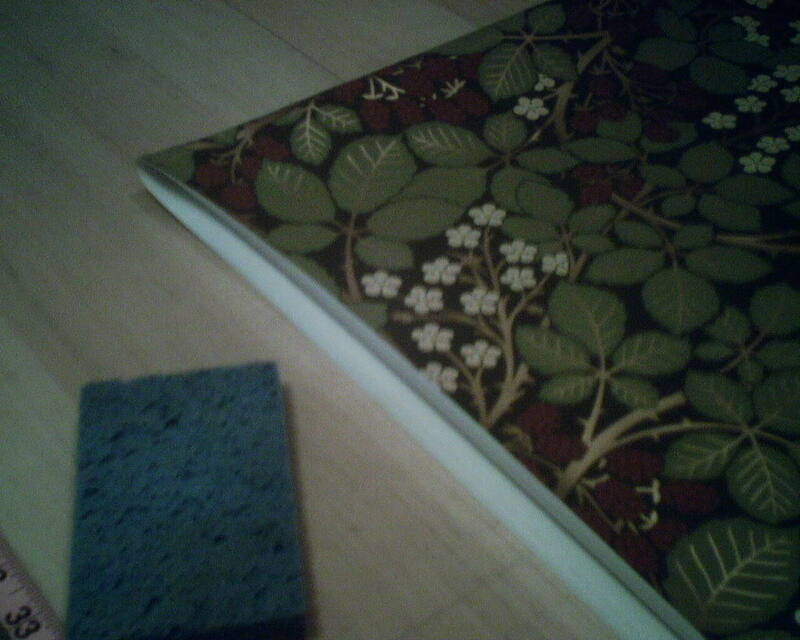 This is a bit more difficult to do with grasscloth, which is thick and stiff, than with regular paper. 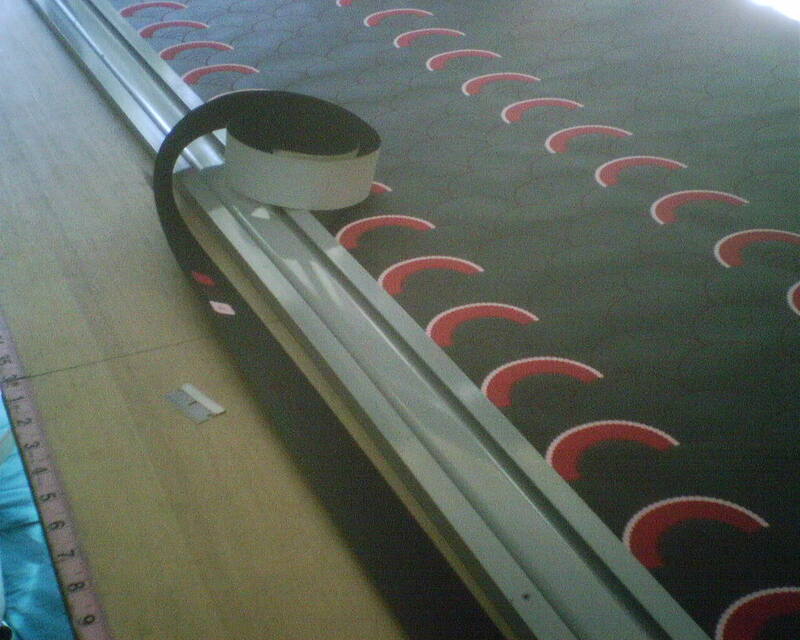 In addition, the manufacturer’s trim guideline marks were off, which resulted in edges that were not straight. 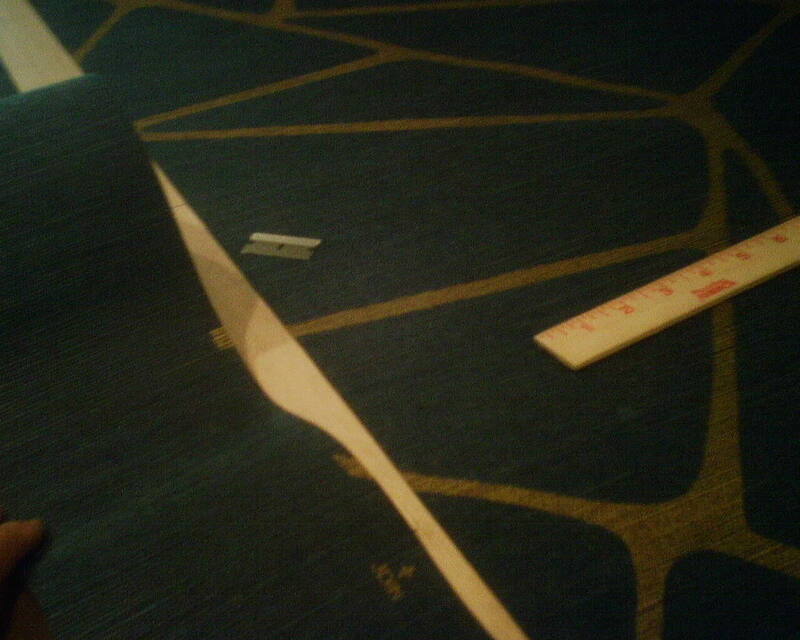 It took some time to figure out how to bypass that, and how to salvage the strip that got the crookedly cut edge. 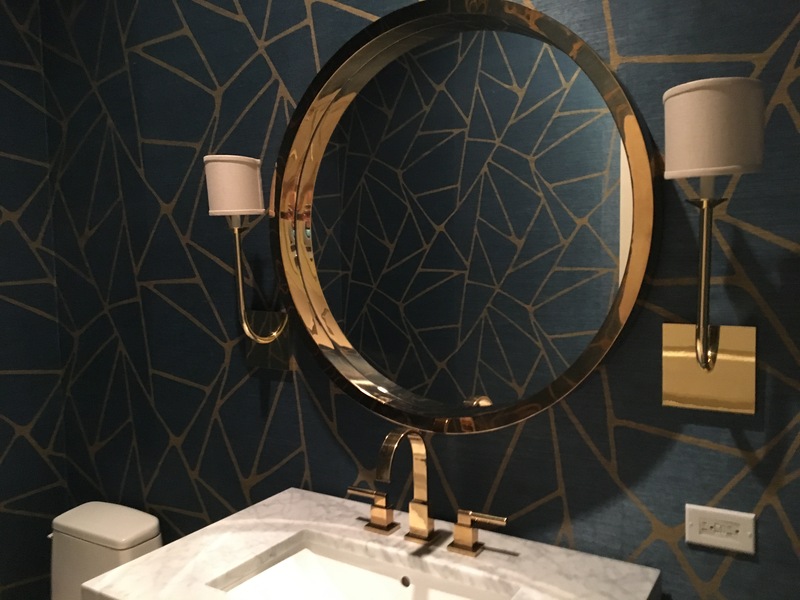 There were a lot of other challenges to this room, including crooked walls, bowed walls, 12′ high ceiling, paper that twisted when it got wet with paste, a console vanity with exposed plumbing and a lower shelf, and less paper than I asked for – I needed 11 1/2 strips, and I had 12 strips….which meant that there was no extra paper to fix an error. 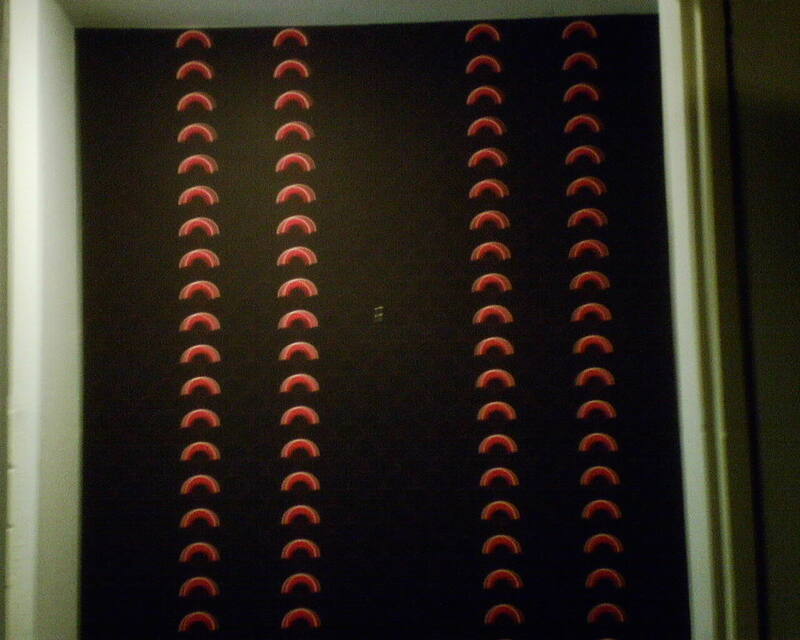 Every strip had to be cut and hung perfectly. 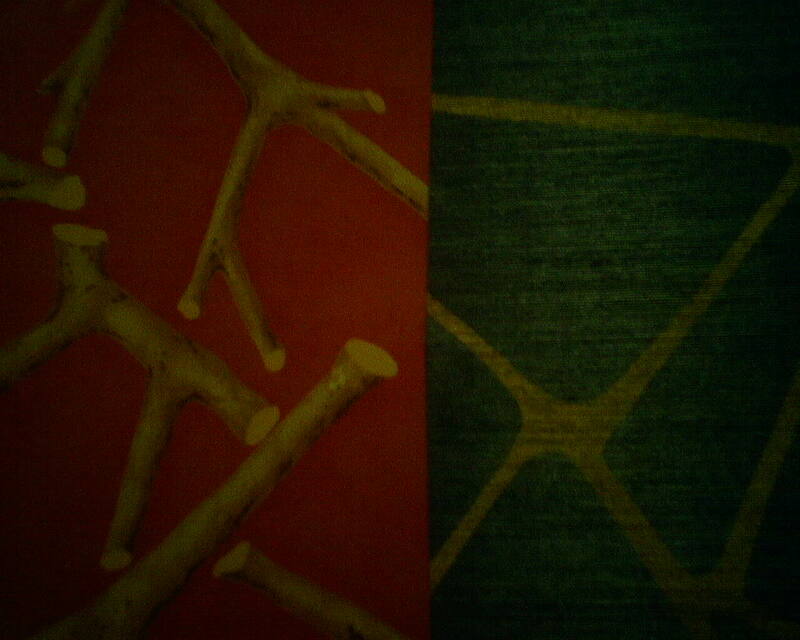 I trimmed, pasted, and hung one strip at a time. This was tedious and slow, but it allowed me to gauge what was going on with each strip and how it interacted with the other strips (previous and succeeding), crooked corners, and the conformation of the room, as I worked my way around the walls, plus it gave me time to work around more difficult areas, such as the light fixtures, the “low boy” toilet, and the console sink. 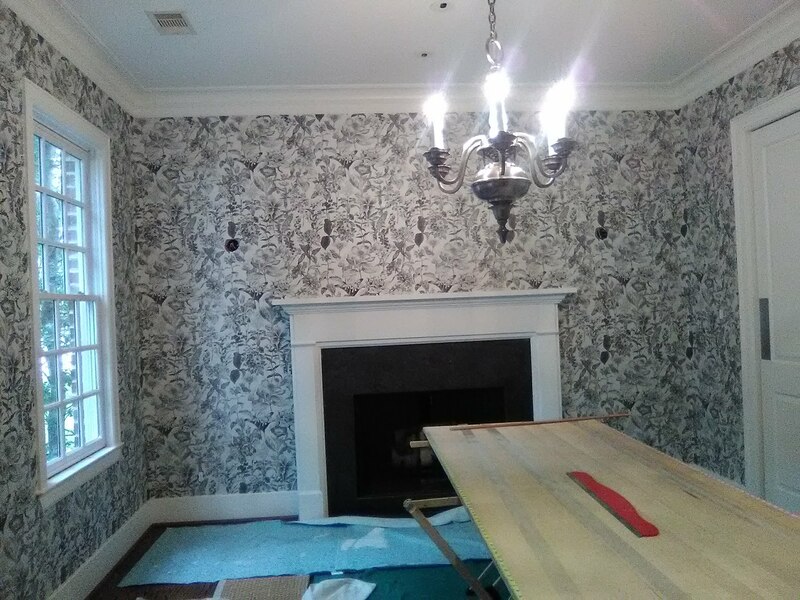 The finished room looks great, and the homeowner loves it. Because it’s grasscloth, the family will have to be careful to not splash water onto it, because it will eventually stain the material, or cause the dyes to run. 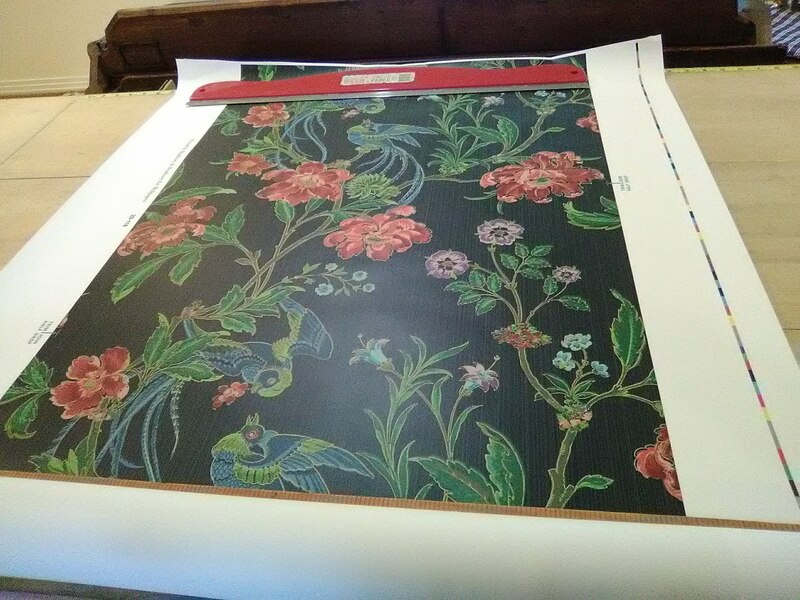 This paper is by Kravat, and I was very pleased with the quality of the material. 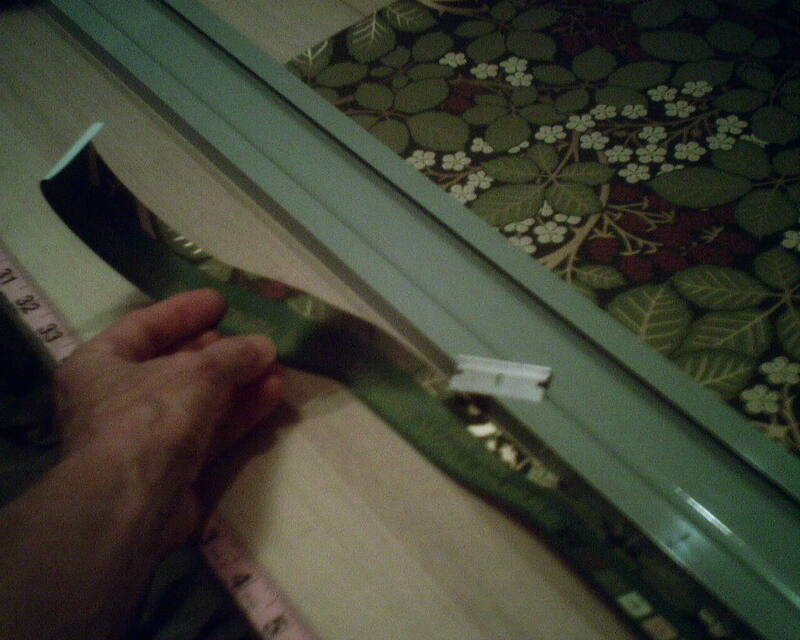 (But, let me say here, I was NOT pleased with the mis-marked trim guidelines.) 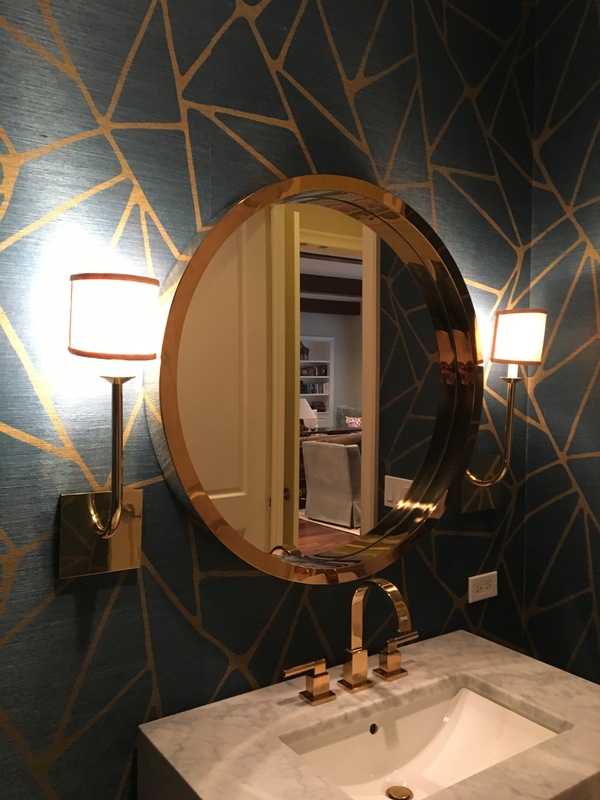 Back to the grasscloth – the color was very uniform, and there were virtually no shading or paneling or color variations, which are problems with most other grasscloth products I have hung. Do a Search here on those terms, to learn more. You get what you pay for. 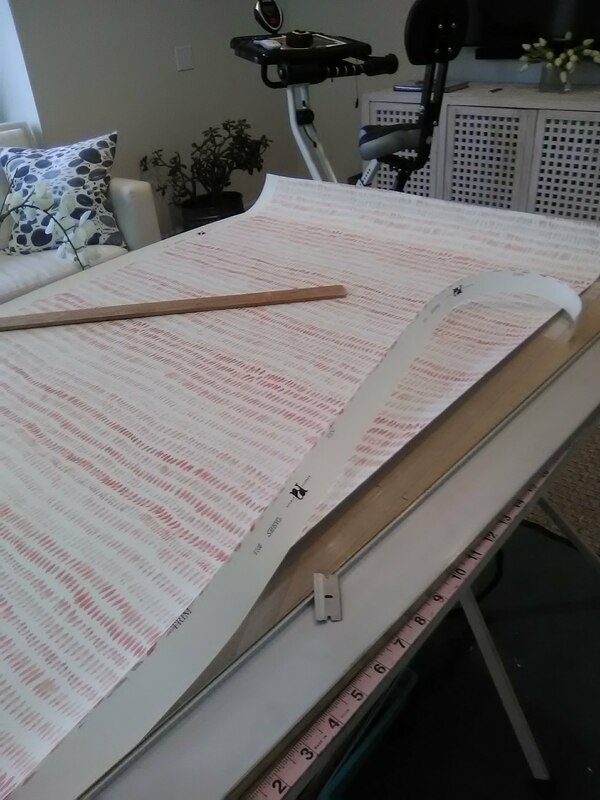 This Kravat grasscloth cost about $350 per single roll (about 22 useable square feet). 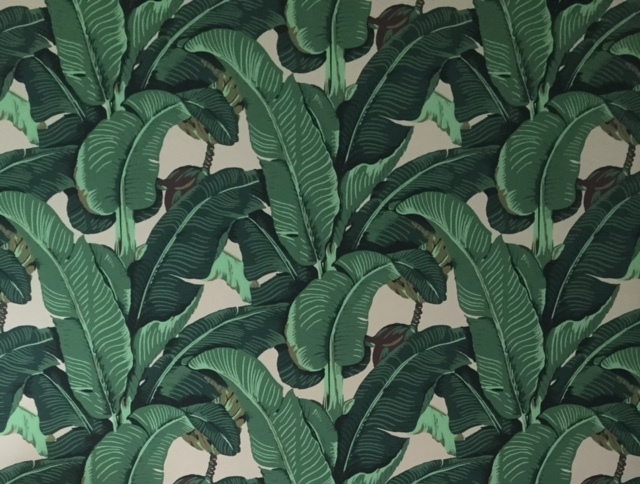 This “Martinique” (French island in the Caribbean), wallpaper pattern is the exact same as was used in the ’40’s in the Beverly Hills Hotel – and on TV shows like Friends and the Golden Girls, and in celebrities’ homes, and on a Mariah Carey album cover, to name a few. 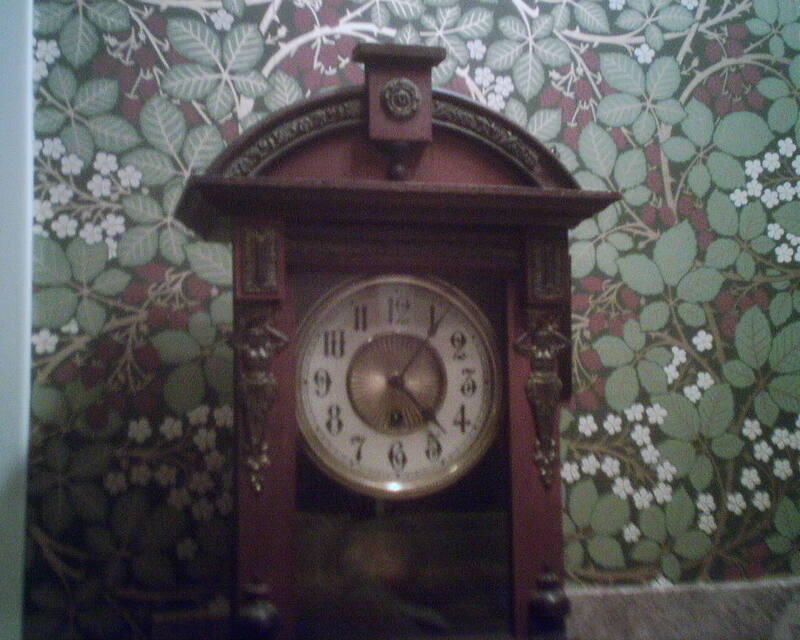 I have hung it several times – it is retro, it is timeless, and people love it. It is also expensive. And thus there are knock-offs. Most of the knock-offs are easier to hang. This one was not. 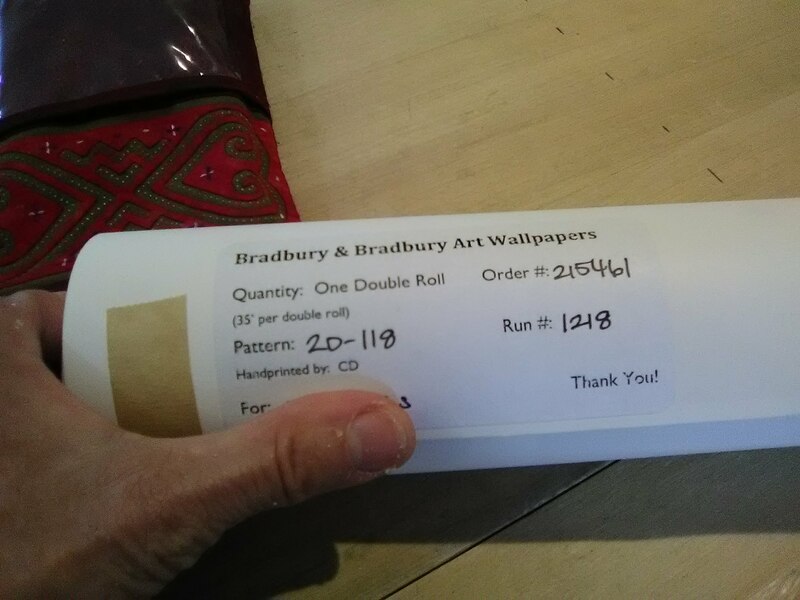 While most wallpapers these days come pre-trimmed by the factory, this paper came with a selvedge edge, which I had to trim off by hand with a 6′ straight edge and plenty of sharp razor blades. 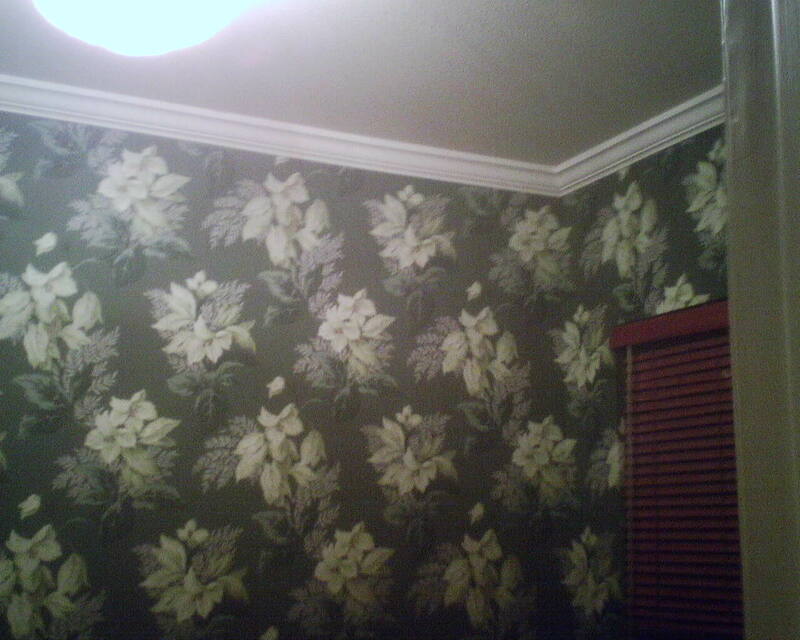 I spent maybe an hour and a half just trimming the edges off six strips of wallpaper. 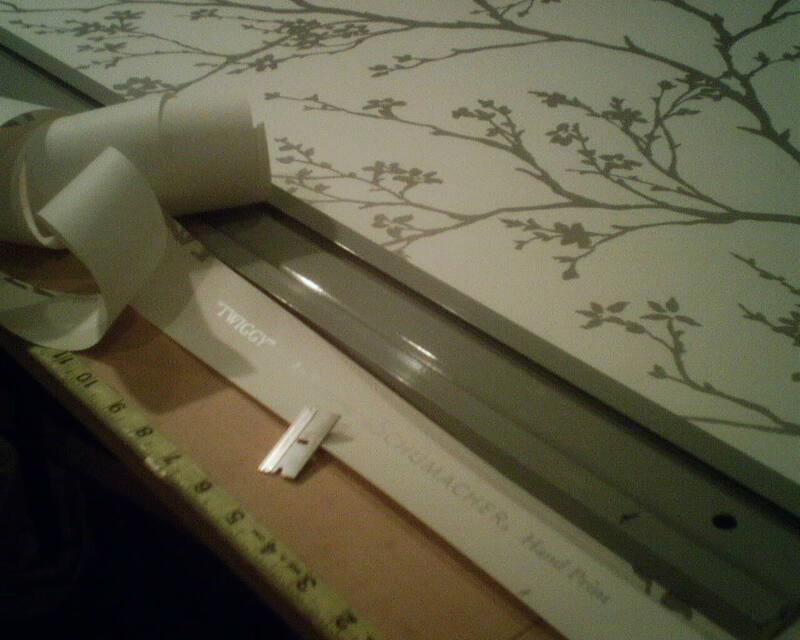 And the trim mark arrows printed by the manufacturer were not distinct, so it was hard to tell exactly where to cut, which means it was easy to get an edge that was not perfectly straight. 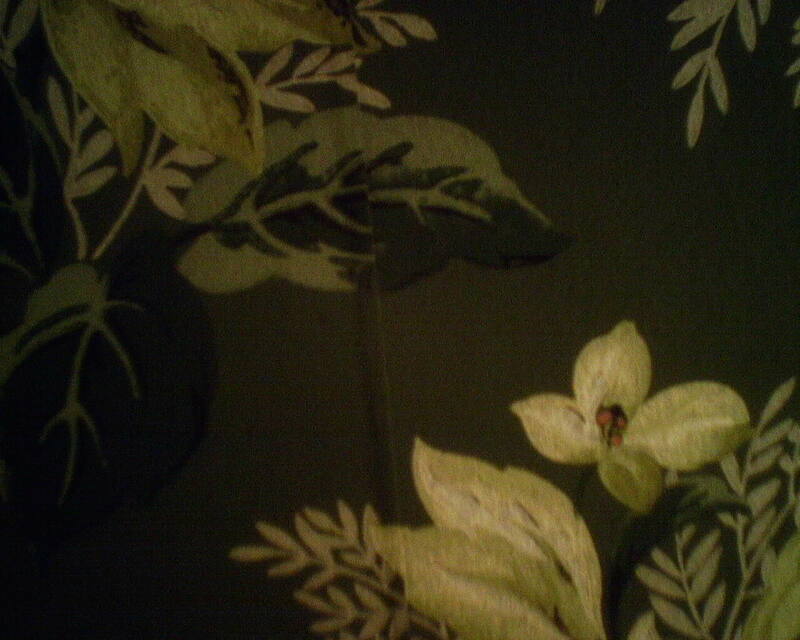 That means you can get perfectly butted seams, but also what we call “gaps and overlaps.” In addition, the pattern was not perfectly matched by the manufacturer, so there were some slight mis-matches once on the wall. Luckily, the pattern is busy enough that these are pretty disguised. 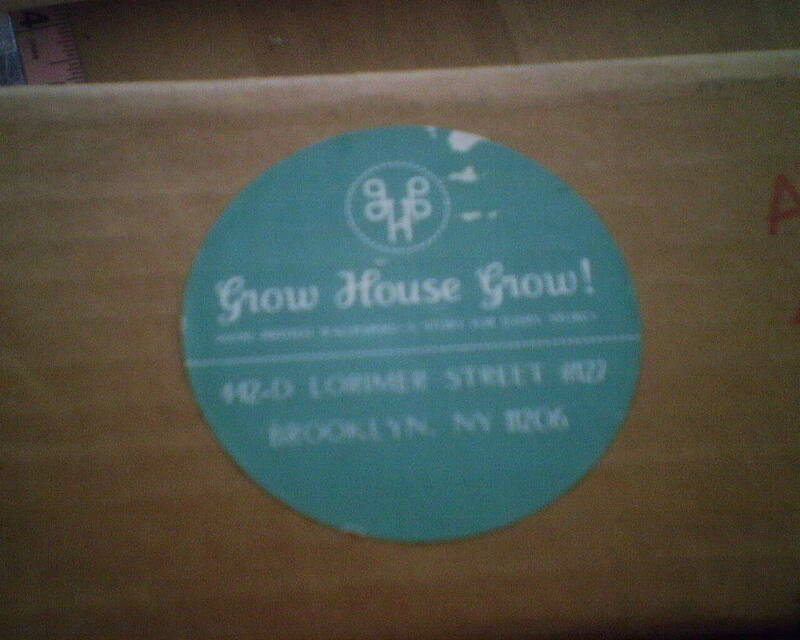 The paper had a thick vinyl coating that was difficult to cut. The thick manila paper backing sucked up paste, leaving little to hold the paper to the wall. 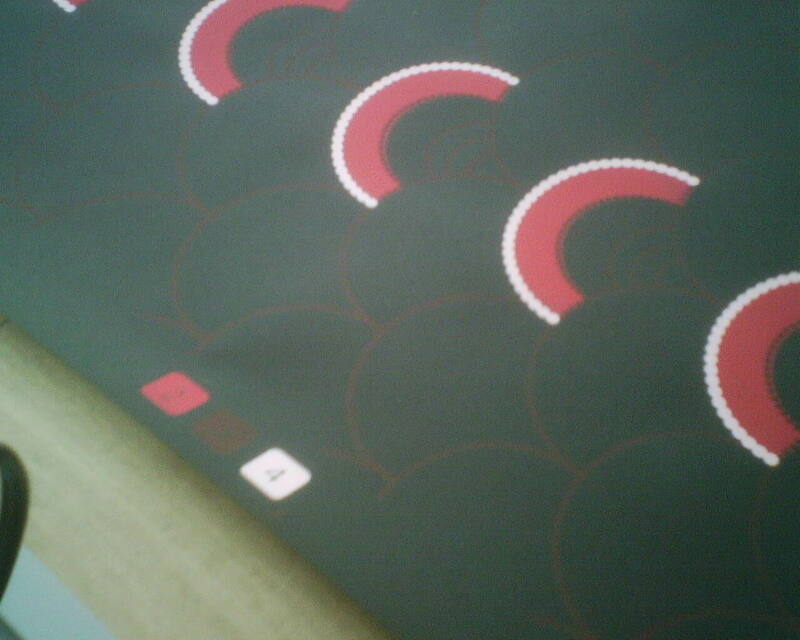 The paper backing opposed the vinyl surface, causing curling at the seams. 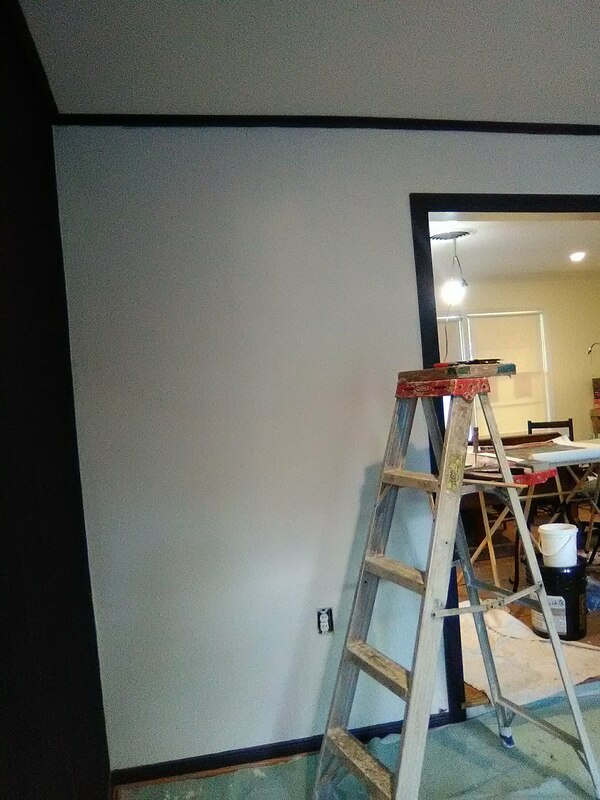 I added extra paste, I added more moisture, I striped the wall behind seams with paste, but I still had seams that wanted to curl up a little. 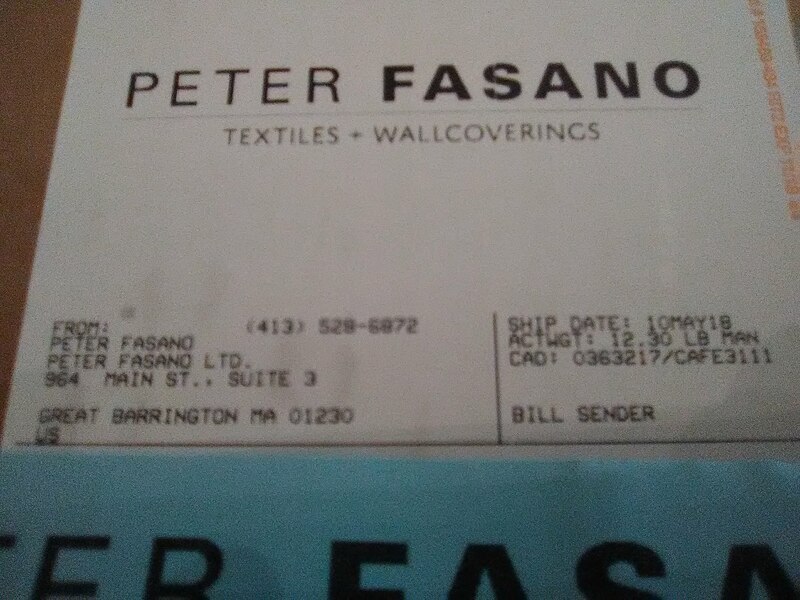 Usually, once the paper is good and dry, the seams give up their moisture and that causes them to shrink, and then they pull tight to the wall. By the time I left, most of the seams were tight and flat. 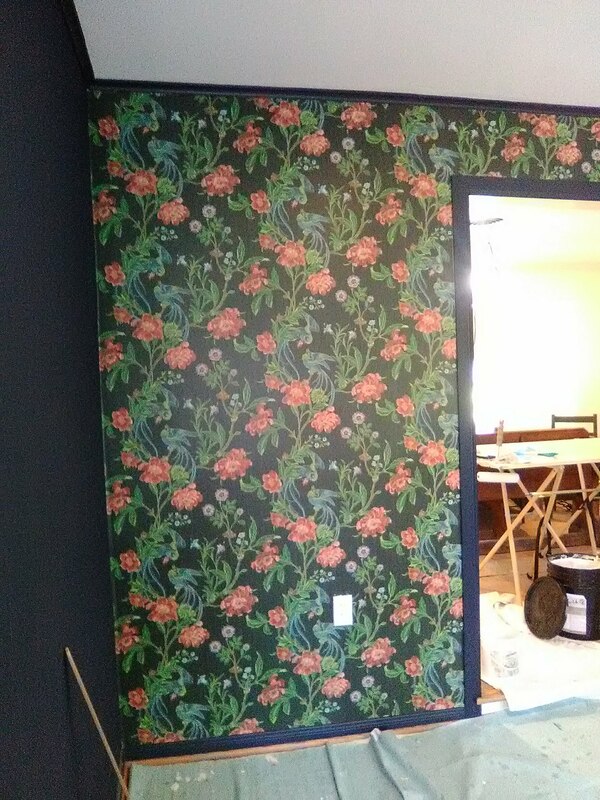 In the end, the finished wall looks fantastic, and the homeowner loves it. 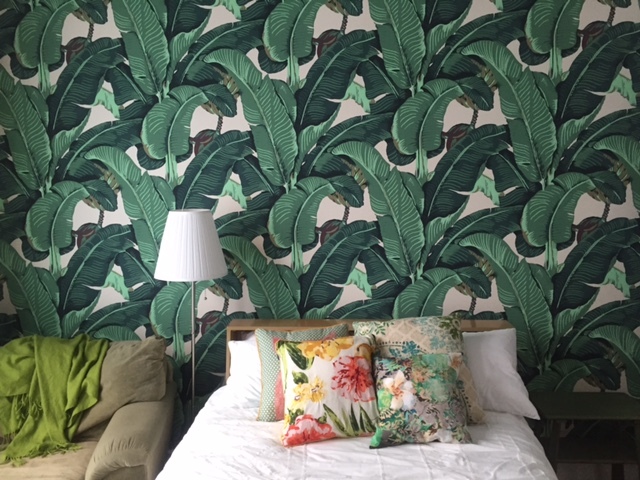 I put this bright and bold “Martinique” wallpaper pattern on an accent (headboard) wall in a guest bedroom in a new home in the Montrose neighborhood of Houston. 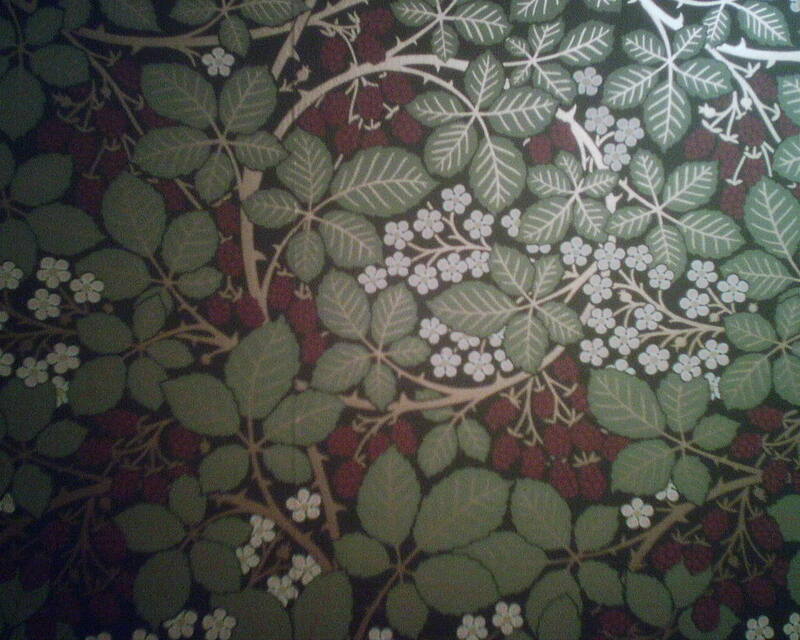 Last week, I stripped off a decade-old botanical and bird wallpaper pattern from my master bathroom, and replaced it with this “Raspberry Bramble,” by Bradbury & Bradbury (http://bradbury.com/), a California-based company that specializes in patterns true to the Art Nouveau and Arts & Crafts and Victorian periods, along with some Mid-Century Modern and other designs. 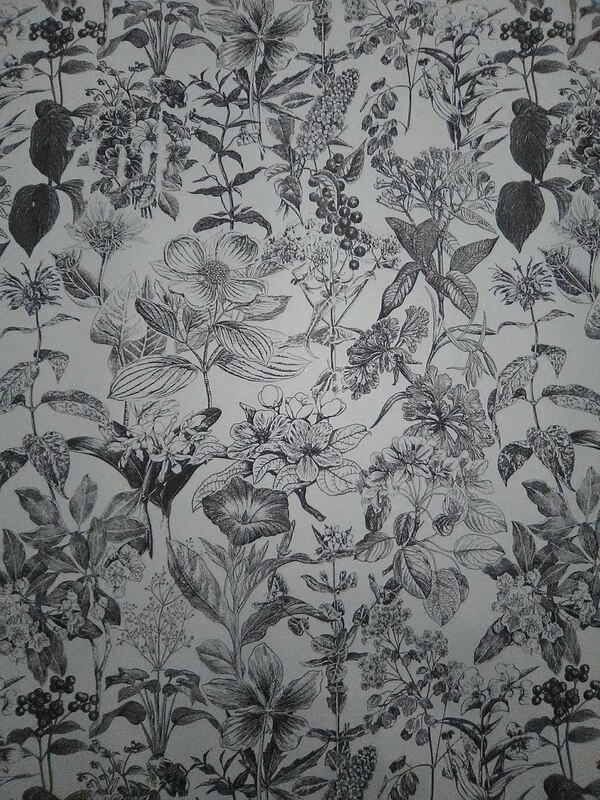 This B&B wallpaper was a little tricky to work with. 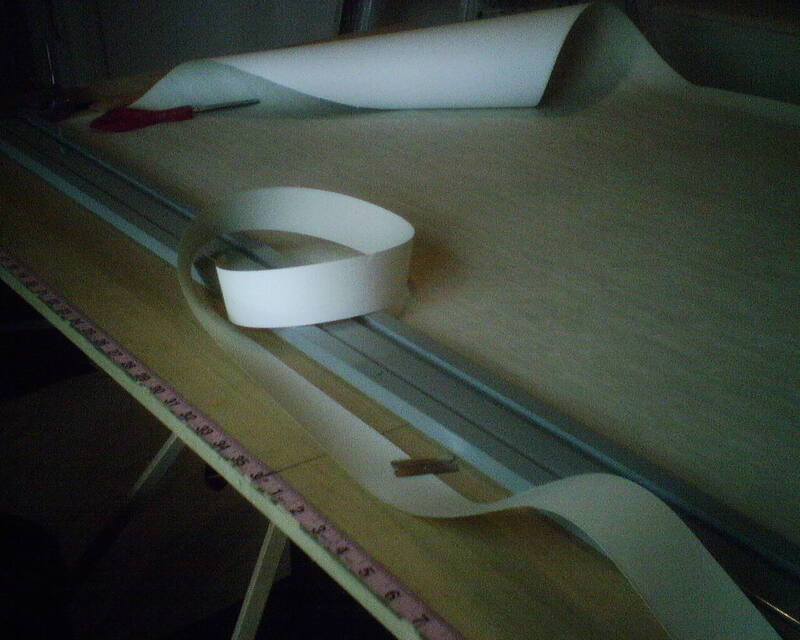 For starters, it has to be hand-trimmed (see photo) to remove the selvedge edge. My go-to pre-mixed adhesive is not a good choice for this material, so I chose a potato-starch paste available from Bradbury, that comes powdered and is mixed with water on-site. 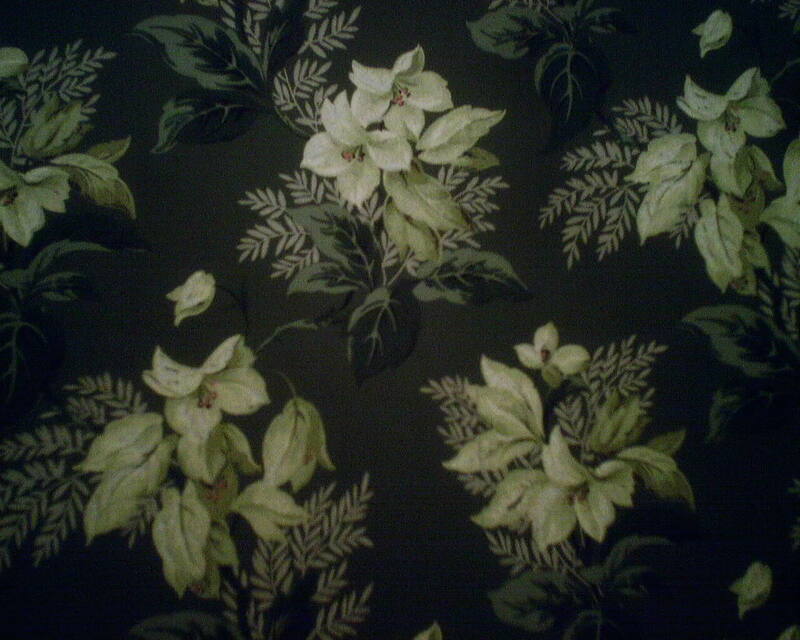 This particular pattern has a lot of ink (smells like moth balls!) 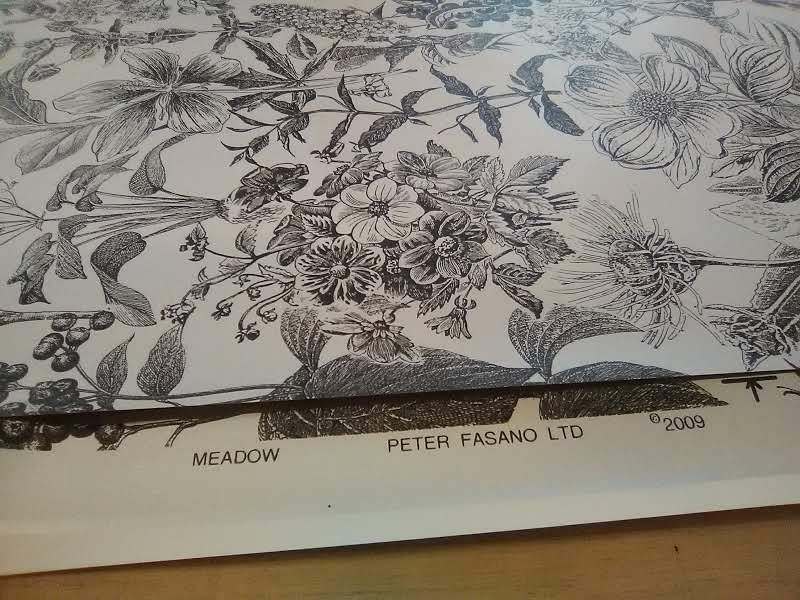 on the surface, and, when paste is applied to the back, the backing absorbs paste and swells at a different rate than the inked surface, resulting in wrinkles and bubbles and twists, plus the curled edges you see in the photo, which can prevent the seams from lying down properly. The moisture differential can cause the paper to continue to swell on the wall, causing wired (overlapped or puckered) seams. I’ve hung a good amount of Bradbury & Bradbury papers, but had never encountered the degree of bubbling and curling as with this paper. The solution to all this is to mist or damp-sponge the surface of the paper, which puts moisture on the front, and allows the front and back (wet by the paste) to absorb moisture more evenly. 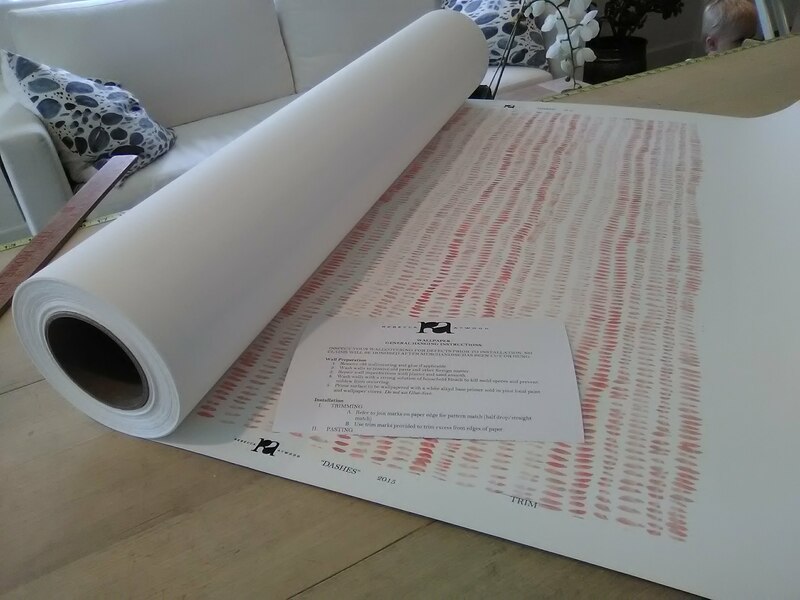 Then the paper is folded loosely (booked), and also rolled up like a newspaper. This helps push the curled edges back down. 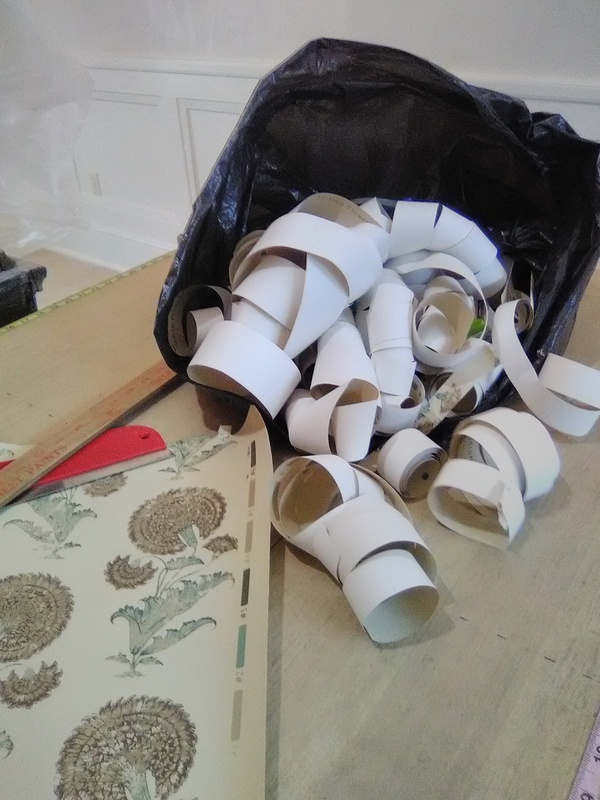 Then the strip of wallpaper is placed in a plastic trash bag to sit for 10-15 minutes, much longer than the booking time for most papers. 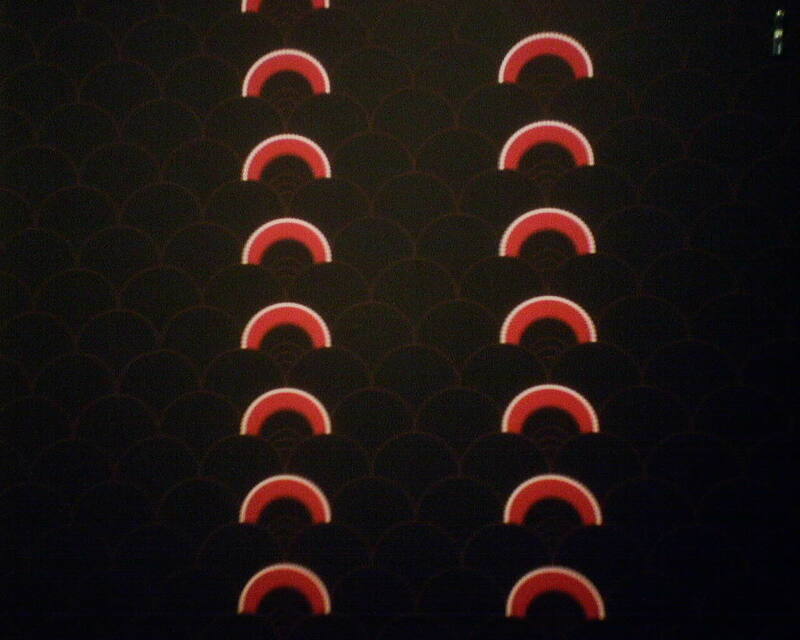 All of this took more time, but it resulted in smooth paper with flat seams. 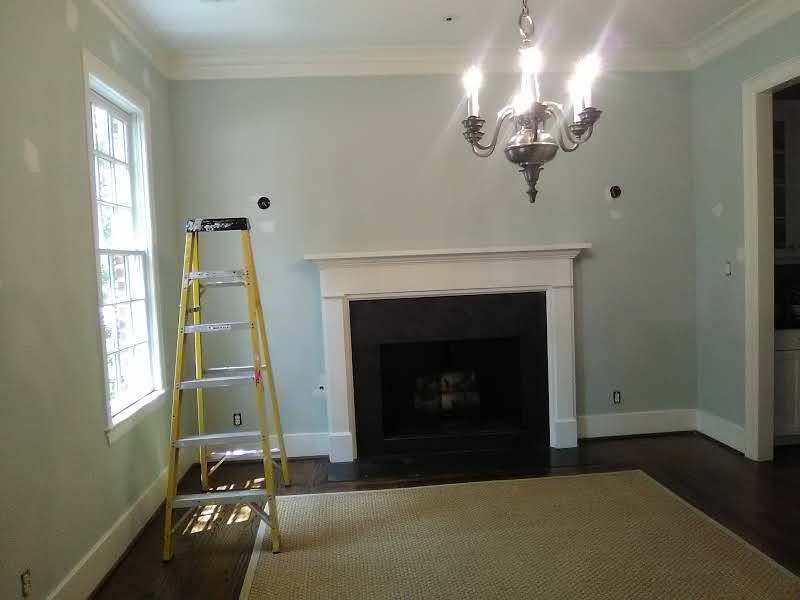 My plan for this room is to achieve a 1700’s French chateau look, so I am also darkening and stenciling my vanity, which has a new “Noche” travertine countertop, will be hanging some frilly antique wall clocks, period artwork, a beautiful chandelier, and adding other features.